Ecolise > NEWS > General news > How much electricity is produced by wind? How much electricity is produced by wind? (19 June 2017) – An estimated 315 000 of the 3.1 million gigawatt-hour of gross electricity generated in 2016 in the European Union came from wind power. In other words, wind accounted for 10% of the total electrical energy produced in the EU in 2016. This is five times more than in 2005 (2%). As such, wind is the fourth source of electricity in the EU, after conventional thermal (49%), nuclear (26%) and hydro (12%) energy. In the EU Member States, Denmark recorded by far the highest proportion of wind in total gross electricity generation with 43% in 2016. It was followed by Lithuania (27%), Ireland (21%), Portugal 20%), Spain (18%) and the United Kingdom (14%). 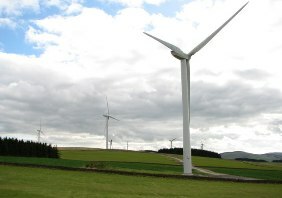 At the opposite end of the scale, the contribution of wind to the production of electricity was insignificant in Malta, Slovenia, Slovakia and the Czech Republic (all with a share below 1%) and very marginal in Latvia and Hungary (both 2%) as well as in France, Luxembourg and Finland (all around 4%).